At 07:25 on 7 August 1987, the resident Oxford shunter 08803 crosses from the up loop into the yard at Hinksey with a short rake of domestic coal hoppers from the small coal unloading point in the former Oxford South Yard. 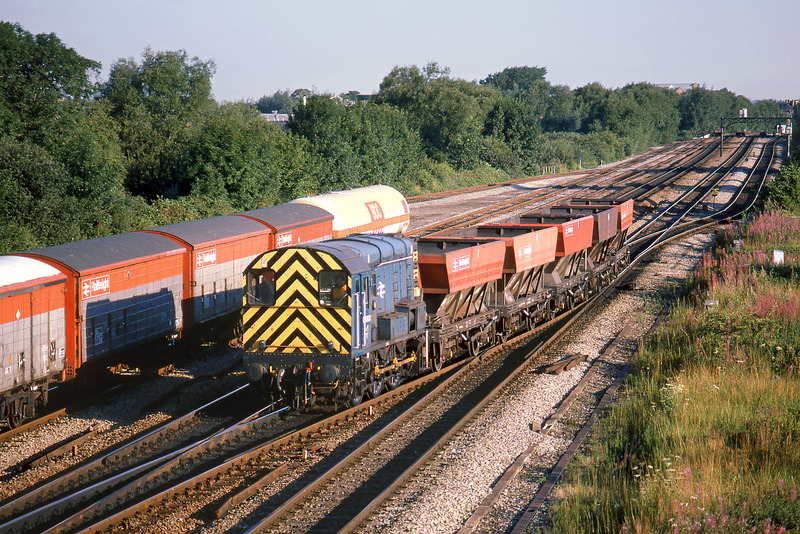 As can be seen from the rake of wagons already in the yard, there was still a little Speedlink traffic handled at Hinksey in 1987. However, the yard was soon to enter its dormant period, when it was only used for the storage of condemned stock, prior to its reuse as a ballast handling facility in recent years.